High quality chrome. Accurate back-up lamp lens reproduction shouldered screws for 1967-68 Camaro Rally Sport models. This kit includes the essential screws for a complete installation. Includes a set of 4 screws. back-up light housings and lens. Quality replacement tail lamp to housing gaskets for all 1967-68 Camaro models. Recommended when replacing your lenses. Sold in pairs. Reproduction of the correct RS back up lens used on all 1967-68 Camaro Rally Sports. Will fit reproduction or original GM back up housings exactly. 2 required per vehicle. Sold individually. High quality Reproduction LH and RH Tail Light to Body Gasket for 1967-68 Camaro. 2 pcs. 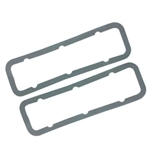 This quality replacement gasket kit for all 1967 Camaro Standard models includes both the rear tail light lens to housing gaskets, the rear license lamp gasket and the front park lamp gaskets. Recommended when replacing your lenses. 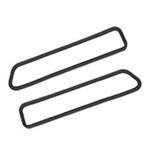 This quality replacement gasket kit for all 1968 Camaro standard models includes both the rear tail light lens to housing gaskets, the rear license lamp gasket and the front park lamp gaskets. Recommended when replacing your lenses. Quality replacement tail lamp to housing gaskets for all 1969 Camaro models. Recommended when replacing your lenses. Sold in pairs. This quality replacement gasket kit for all 1967 Camaro RS models includes both the rear tail light lens to housing gaskets, the rear license lamp gasket and the front park lamp gaskets. Recommended when replacing your lenses. Reproduction of the original red tail light lens for use on all 1967 Camaro standard models. They will fit LH or RH. Sold Individually. Reproduction of the original red tail light lens for use on all 1968 Camaro standard models. They will fit LH or RH. Sold Individually. Hardware to install the tail light housing on all 1969 Camaro models. One kit does one housing. Replacement gaskets for Camaro Rally Sport parking lot and back-up lights. Reproduction RS back-up lamp lens for 1969 Camaro Rally Sport models. This clear plastic lens features all the correct markings, including the words "SAE Guide" in correct font. Designed to fit the back-up housings located on the lower rear body panel on RS models. Sold individually, 2 required per car. High quality Reproduction LH and RH Tail Light to Body Gasket for 1969 Camaro. 2 pcs. Complete paint gasket set used on all 1967 Camaro standard models. Kit includes all gasket to replace front and rear light lens gaskets, locks, door handles, door mirrors and more. Complete paint gasket set used on all 1968 Camaro standard models. Kit includes all gasket to replace front and rear light lens gaskets, locks, door handles, door mirrors and more. Reproduction of the original red tail light lens for use on all 1967 Camaro models with the Rally Sport option. This lens will fill the entire tail light bezel. Sold individually. They will fit LH or RH. Reproduction of the original red tail light lens for use on all 1968 Camaro models with the Rally Sport option. This lens will fill the entire tail light bezel. Sold individually. They will fit LH or RH. Complete paint gasket set used on all 1969 Camaro standard and RS models. Kit includes all gasket to replace front and rear light lens gaskets, locks, door handles, door mirrors and more.